Vutec just announced a complete expansion of new products, 5-year warranty, and brand positioning for Vutec's luxury brand Vision X. Each Vision X projection screen is custom built in Vutec's factory and only sold directly to the experienced integrator seeking more. • See reviews in our Projector Screen and Video Projector review sections. Vutec's marketing team has built and designed in-house an entirely new Vision X platform with a refreshed visual design. 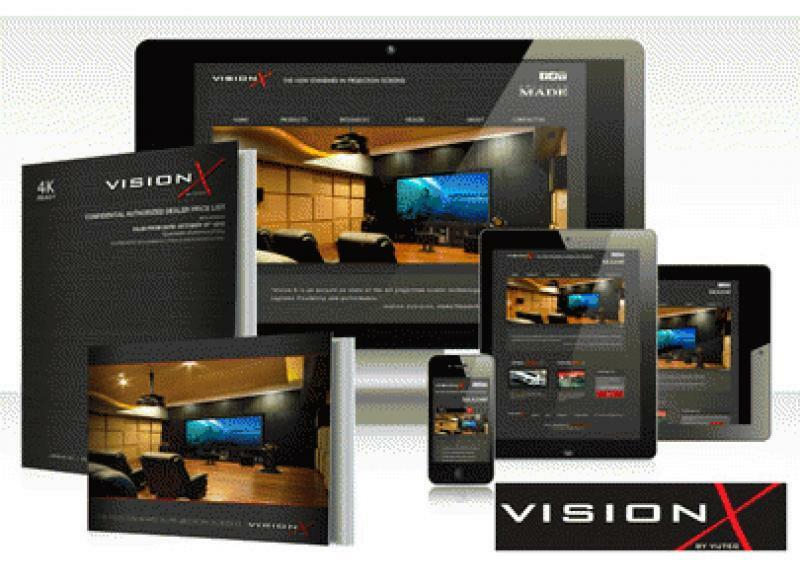 Consisting of the new custom Catalog featuring the new complete Vision X product line and the development of a dedicated responsive website designed to visually optimize across all smart phones and tablets. "As integrators and consumers turn to mobile devices for Internet browsing and content consumption, the thought behind creating a responsive website that optimizes to their device allows integrators to view our products on multiple platforms, at any time", says Mike Palmisano, Director, Marketing & Communications. As technology evolves, Vutec's goal is to simplify their selling process and create positive experiences for their customers. This brand overhaul will follow with an ad campaign to support dealer growth. Vision X is made available for purchase through a limited number of approved dealers in specific geographical areas. Visit www.visionxscreen.com or email sales@vutec.com for more information.